Rollins is many things - diatribist, confessor, provocateur, humorist, even motivational speaker - his is an enthusiastic and engaging chatter. 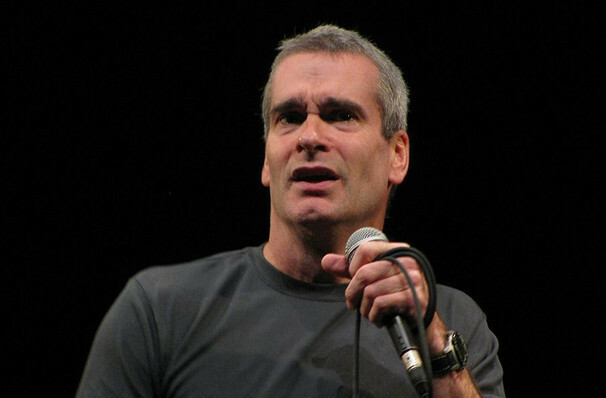 Henry Rollins is returning to the road with his Travel Slideshow tour! The saying goes "a picture is worth a thousand words" and for many years Henry Rollin's has used his camera to document his travels around the world. You're invited to join him for an intimate evening as he tells the stories behind the photos he's taken. As a keen photographer, he'll be going through his collection of archived images from all over the world, including Africa, Middle East, South America, Central Asia and Antartica. Rollin's proclaimed, "It's not always easy, but always worth it! Many of the photos have a story behind them". Find out the stories for yourself and be captivated by his incredible journey's. Sound good to you? Share this page on social media and let your friends know about Henry Rollins at The Heights. Please note: The term The Heights and/or Henry Rollins as well as all associated graphics, logos, and/or other trademarks, tradenames or copyrights are the property of the The Heights and/or Henry Rollins and are used herein for factual descriptive purposes only. We are in no way associated with or authorized by the The Heights and/or Henry Rollins and neither that entity nor any of its affiliates have licensed or endorsed us to sell tickets, goods and or services in conjunction with their events.